This Foldable Picnic Beach Camping Double Chair+Umbrella Table Cooler Fishing Fold Up , is $38.99 !!! reg price $60 !! Outdoor activity is full of interest. However, sun block is also important for us. 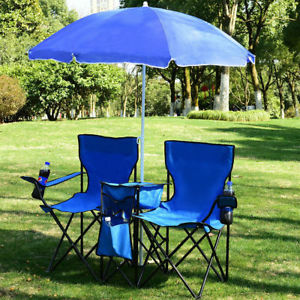 Here comes this Portable Outdoor 2-Seat Folding Chair with Removable Sun Umbrella, with which you will be well protected from scorching sunlight. Masterbuilt Outdoor Butterball Oil Free Electric 18 Lb Turkey Roaster and Fryer for just $69.99 + FREE shipping !! reg price $130!! Commercial 82″x48″x18″ 6 Tier Layer Shelf Adjustable Wire Metal Shelving Rack 76 – for only $51.99 + FREE Shipping!! reg price $200!!! Kids Potty Training Seat with Step Stool Ladder for Child Toddler Toilet Chair for $20.95 + FREE $40!! Petstages Tower of Tracks Cat Toy is just $7.80 !!! reg $24 !! !